Whether you are someone who has recently bought a home or someone who has been living in his own house for more than a decade, we all have at one point or another, faced water flow problems. 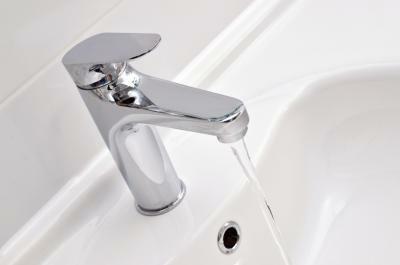 Water flow problems are one of the most common plumbing problems that homeowners face. It’s actually also one of the most annoying of the plumbing problems. It’s annoying because once the water flow decreases, you fail to enjoy your shower, washing your dishes becomes cumbersome, refilling the flush takes more time than usual and even simple things like washing your hands starts to take a toll on your time. We usually advise that whenever you face a plumbing issue, you must immediately call your plumber. But decreased water flow can sometimes be corrected with the help of some DIY strategies. In this article we will inform you how to rectify the problem of decreased water flow. In most of the cities around the world, the water supply is handled by the local municipal body. The water is pumped from the base pumping station to your area under very high pressure and great velocity. Since the water pipes have a limited volume, the water flowing under high pressure experiences some serious friction. This friction causes the water to lose its kinetic energy and transforms it in to heat energy. You must have noticed that water coming out of your supply line is often a bit warmer than the water coming from your water tank. It’s the same reason for this water being a bit warmer. The friction makes the water to lose its kinetic energy and changes it into heat. The water reaching your area still has sufficiently high velocity; the main problem arises once it reaches your pipes. Since your pipes are in most of the cases going to be narrower than the water supply pipes in your city, the water experiences more friction and slows down further. We would advise you to check the diameter of your pipes. If you are having decreased water flow problem than it’s likely that you have pipes with ½ inch diameter. Try replacing your ½ inch diameter pipes with ¾ inch diameter pipes. If you can afford to call a professional plumber and get all your narrow pipes replaced with ¾ inch diameter pipes then in most of the cases you will never experience this problem again. If you have the decreased water flow problem even when you have ¾ inch pipes then the problem is not in your pipes. The problem in this case is the blockage in the pipes. As the water flows in the pipes, along its path, it deposits small amounts of minerals. Over the time, these minerals start to accumulate and present themselves as a blockage to the water flow. You can use some hard chemical cleaners in order to clear out these blockages. You can also ask the local water supply authority of your area to do this for you. The High Mark Plumbing has years of experience in Maple Ridge Plumbing service and writing blogs on every subject to help people get the necessary information about plumbing. Why To Go For LED Bulb Light: 5 Straight Forward Reasons!